When it comes to garage door repair in Lebanon, IN, there are a lot of different companies out there that will say they can fix your garage door. However, you cannot rely on just any garage door company, you need one that has the professional experience, knowledge, and skill to find the source of the issue and make the necessary repairs to ensure your garage door is in peak condition. Whatever your need is for repair, whether a bent garage door track, broken spring, or an off-track door, you can rely on the expert technicians at Garage Door Doctor! As one of the best garage door companies in Indianapolis and the surrounding areas, we are committed to providing our customers with the best service. No matter the make or model of your garage door system, our technicians can help solve your problem. 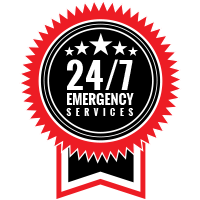 We know the problems that a malfunctioning garage door can cause, which is why we offer same day garage door service as well as 24/7 emergency garage door services, something many local garage door companies do not offer. Plus, we offer the most affordable garage door services in the area — we refuse to be beaten by our competition. Whenever you are experiencing garage door problems in Lebanon, you can rely on Garage Door Doctor for quick and transparent service. Contact us when you are in need of the following. If you are like 71 percent of homeowners, you likely use your garage as an entry and exit point more than your front door. In fact, it is likely that the most your front door is used is when you have company over! With the importance a garage has, when a garage door system malfunctions it will be much more difficult to use the entry point inside. Whatever the problem may be that causes your garage door system to stop working, we can find a solution. Additionally, we offer garage door inspections to ensure that your garage door is in great working condition. Are you building a new home? Are you adding a garage to your house? Is your garage door older than you can remember? If so, you are going to need a new garage door installed. At Garage Door Doctor, we carry and install various makes and models of quality garage doors and powerful garage door openers. Our team can help you find the best garage door for your needs! The best way to prevent the risk of your garage door system breaking down is to ensure it is regularly maintained. Instead of risking DIY garage door maintenance, let our team of experienced help provide you with the residential garage door maintenance service you need to ensure your garage door system is in good, working condition. When a garage door spring breaks it can cause some serious damages, like a broken car windshield, an off-track garage door, or even bodily injury. Garage door springs retain enough tension to hold up the heavy weight of your garage door, and when they are unloaded incorrectly, they will burst, sending pieces everywhere. Unless you’re a trained professional and have the right tools you should never attempt to replace or repair garage door springs on your own. Whether it’s late at night, during the weekend, or even a holiday, Garage Door Doctor understands that garage doors never break down according to schedule. Breakdowns and accidents can take place at any time, which is why we offer 24-hour garage door repair. Our technicians are always on call and ready to go. So, if a faulty garage door is causing you headaches, simply give us a call and let our team handle the repairs. Businesses and commercial buildings across the state of Indiana rely on durable and powerful commercial garage doors to perform at peak performance in order to avoid any delays in productivity and business operations. From warehouses and repair shops to firehouses and other commercial businesses, the need for a large commercial-grade garage door is crucial of effective and efficient operations. When your commercial or industrial garage door is broken, our team of experts can arrive on-site and get it back up and running. We also can install commercial doors and openers from some of the leading manufacturers! 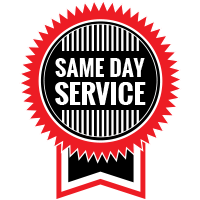 Don’t let a malfunctioning or broken garage door ruin your day, or even week — with same-day garage door service from Garage Door Doctor, you can rest assured that when you experience a problem with your residential or commercial garage door our technicians will be able to provide you with professional service to get it back to optimal condition.